I have another awesome child movie inspired ornament! 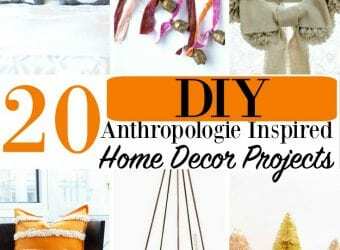 As I have stated in the past, I absolutely love to do crafty things and take on some awesome DIY projects. This year I wanted to take the initiative to really make a lot of the ornaments that I will be hanging on my Christmas tree this year. I am a huge fan of anything and everything Disney related and I wanted to make a lot of Disney-inspired ornaments. 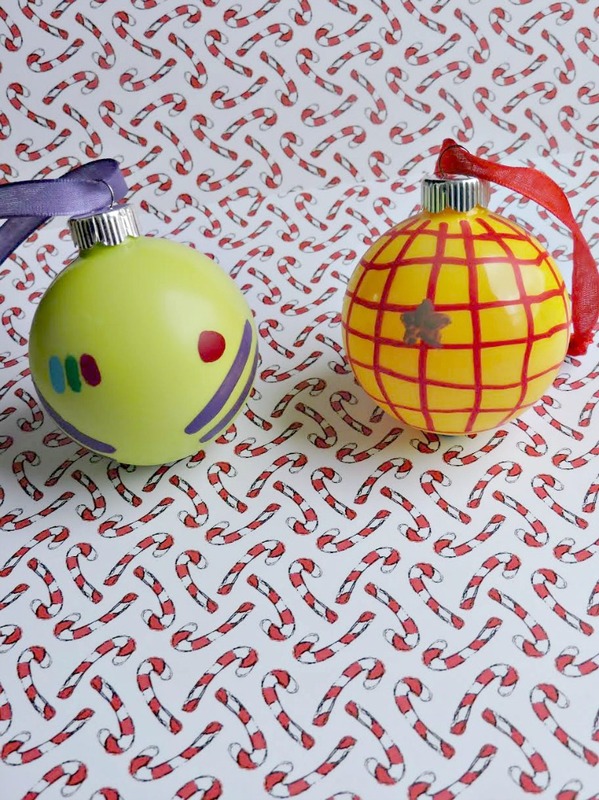 For these ornaments I decided to choose one of my favorite Disney movies of all time…Toy Story! 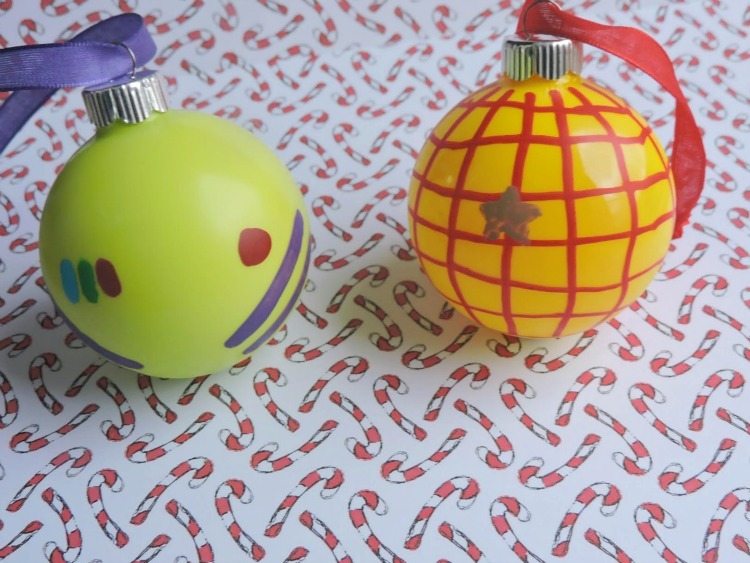 Nothing is quite like the friendship of Buzz and Woody, so that is why I am going to be showing you how I made these adorable Buzz and Woody ornaments. 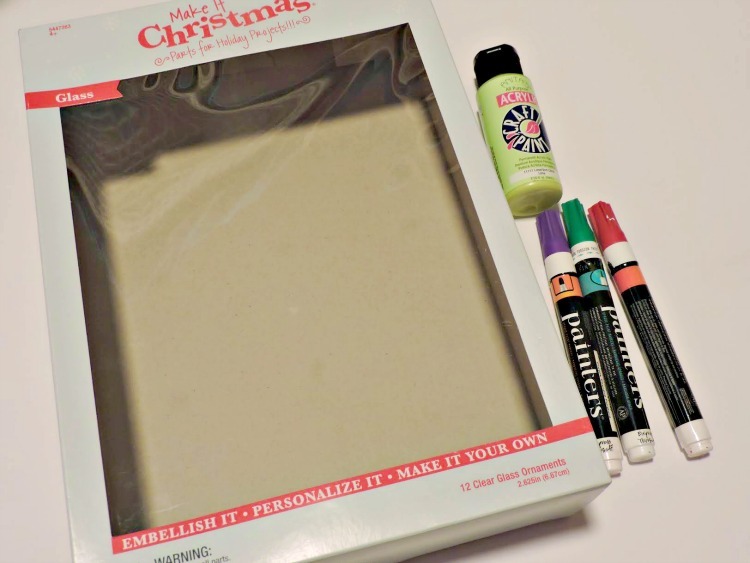 We are going to start by filling our ornament, you will need to remove the top of the ornament. 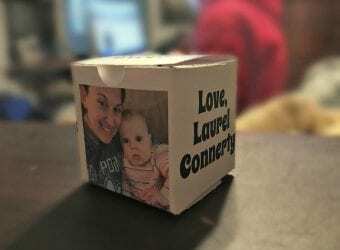 Get something like a cup that you can place the ornament on upside down to allow excess paint to fall out and the paint inside can dry, this will take some time. I recommend leaving them to dry over night. Buzz is going to be made from your green ornament and we are going to be making our ornament look like Buzz's suit! Take a red paint pen and first draw a red circle on the right side of the ornament, followed by one red little notch on the left side to make Buzz's buttons on his suit. You will also need to make a green notch and a blue notch. These will be his 3 buttons on the left side of his suit. Finally, take your purple paint pen and draw two diagonal lines on each side to finish off the look of Buzz's suit! Woody is going to be your yellow ornament. We are going to make our ornament match wood's standard plaid shirt! 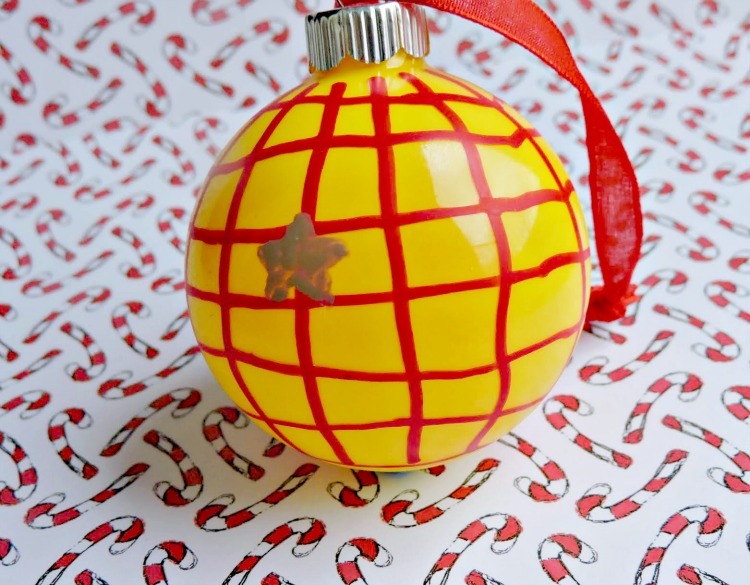 Take your red paint pen and create the checkered pattern of wood's plaid shirt all the way around ornament. Finish his shirt off with a golden star badge to represent Woody's Sheriff badge! 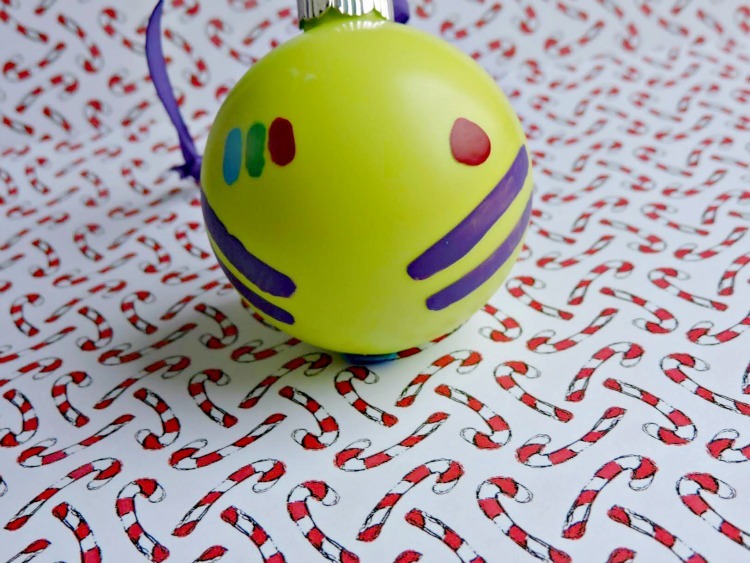 Finish off both of your ornaments with a nice clear coat to seal the paint in, and then choose a colored ribbon to coincide with them and create a hanger by creating a loop at the top of the ornament!